Testing and quality assurance (QA) is an integral part of the software development process, during which versions of a product are examined for bugs, design flaws, and performance quality as a whole. Many mobile app developers and web developers offer testing and QA services as a standard part of the production lifecycle, but businesses can also hire a separate provider for software testing services. Product or development teams within an organization can also perform these tasks in house using mobile app testing or software testing software. Testing and QA reviews by real, verified users. Find unbiased ratings on user satisfaction, features, and price based on the most reviews available anywhere. Calsoft is a software product engineering Services Company provides End-to-End Product Development, Quality Assurance Sustenance, Solution Engineering and Professional Services expertise to assist customers in achieving product development and business goals. 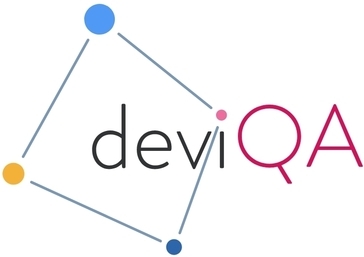 DeviQA is an Independent Quality Assurance and Testing company. 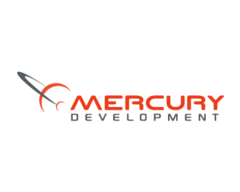 We are a 10 years’ experienced team proficient in QA process design and implementation, Full-cycle testing, Automated tests development for Web/Mobile/API, Performance/Load/Stress testing, QA Audit, Test documentation design etc. Our automated testing expertise encompasses more than 40+ test automation frameworks including but not limitted to Selenium, Appium, WebDriver.io, Codecept.js, Protractor, Selenide, Calabash, Robot framework and many others. We support more than 30 bugs tracking systems and we have 70+ real mobile devices for automated and manual testing. We are actively using testing in cloud services like SauceLabs, BrowserStack, AWS DeviceFarm. We are fans of complete test ecosystem setup (integration of Jira + TestRail/Zephyr + Jenkins/Bamboo + automated tests into one system). Moreover we have more than 7 years in Performance/Load and Stress testing using JMeter, NeoLoad, BlazeMeter, etc. We have created a lot of test documentation such as: Test Cases, Test Plans, Check Lists and integrated test cases with automated testing solutions to have more natural approach. We can offer you robust, timely and affordable Quality Assurance solutions. As A-team players who ‘live and breathe’ the project, client satisfaction is our absolute priority. 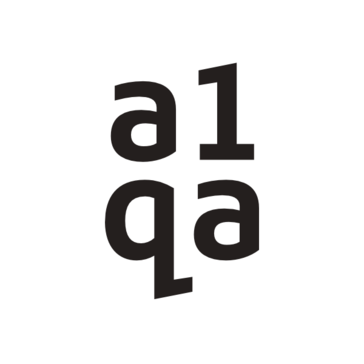 Founded in 2003, a1qa is a 700+ strong independent software quality assurance provider offering full-cycle testing services, including QA audit and consulting, test automation, and QA outsourcing. Appistoki is a comprehensive solution for IT needs. Digital Design Services is the way to align design and engineering to create value for clients whether that's design led engineering or design integrated engineering opportunities. Coupled with our human-centered design process, we can deploy cutting-edge technology and engineering in radically meaningful ways and outcomes. DMI is an end-to-end mobility company that combines all the skills and services necessary to deliver mobile enterprise solutions, including mobile strategy, UX, web, and app development, omni-channel commerce, brand and marketing, big data management and analytics, and secure device and app management. HyTechPro is an IT solutions that provide company serving business solutions to the industries including banking, finance, insurance and healthcare. Mutual Mobile brings digital experiences to life through an integrated approach to design and technology. Developer, product builder, service provider, design studio, emerging tech consultancy, strategic innovation partner – a different kind of animal. Every skill and talent in our brain collective goes into our work: Uniting the physical and digital worlds to build business solutions and user experiences that change how people live, work, and play – every day. When products and solutions are at their best, they drive basic human behaviors to convert on defined business goals – in the simplest of ways. QA Madness is a full-service testing company that can partner with you to meet and exceed your business goals and objectives. Quality assurance is what every product need, to check the performance of all its functions and be sure it's convenient and understandable for users. QAwerk outsourcing software testing company provides various types of testing services and ready to make your product bug-free and smooth. Our customer's geography covers Europe, Canada, Australia and the USA with big companies like ClearData, MarketOne, Hosting.com, and others. QAwerk provides an offshore testing team with strong skills in desktop, mobile, and web testing, also in documentation design and technical writing. We thrive to use only the most effective approaches and guarantee to deliver a flawless product within the deadline. Develop products for mobile and web and help with software integrations. Creating a high quality and cost efficient solution is our primary goal and we are there for the whole lifecycle of the project. TestLauncher is a provider of web, mobile, and software testing services specifically for the FinTech sector. W3Softech is an independent QA company specializing in functional, automation, non-functional testing services. UpDoer Technology is a premium Software Testing Company and within such a short span of time till its estabilishment it becomes successful in creating a global appearance by offering Testing space and Software Quality Assurance services. ValueLabs provides software product development, testing, and knowledge process outsourcing services. Hi there! Can I help you find the best Testing and QA solutions?